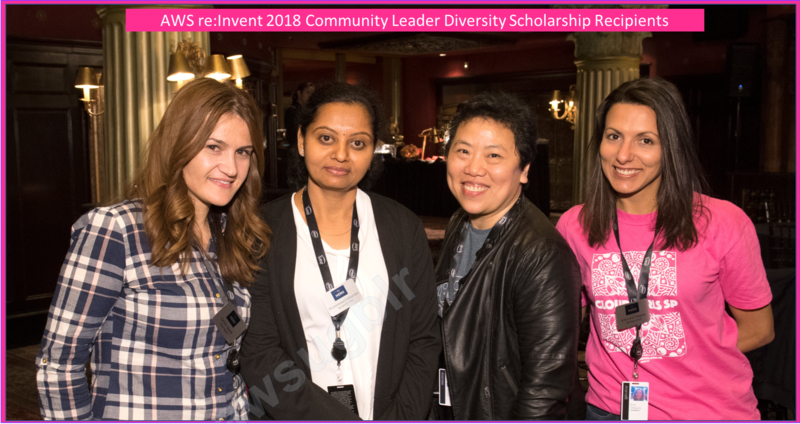 Though Jeevan Dongre and Rahul Jain have sent the nomination for #WomenInTech months ago, the invite from Amazon to AWS re:Invent 2018 as one among the 5 recipients across the globe for AWS re:Invent 2018 Community Leader Diversity Scholarship was a pleasant surprise. I am pleased, humbled and honoured for this recognition from Amazon and all the credit goes to AWS Community Hero Jeevan Dongre and our newest Community Hero Sathyajith Bhat for laying a conducive platform for community lead learning and sharing through #awsugblr. 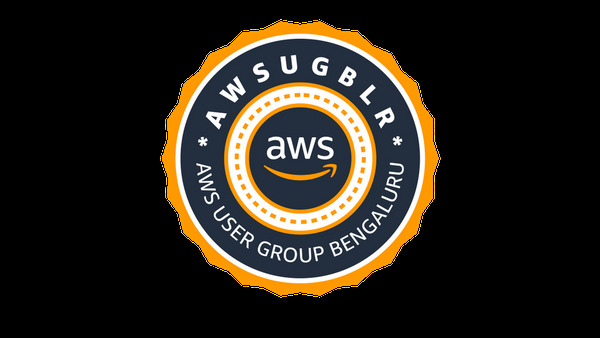 Thanks a lot to Rahul Jain for his support to AWS User Group Bengaluru and many thanks to Ross Barich for the invite, defining the schedule with lots of pleasant surprises hidden. My heartfelt thanks to my boss Vynessa Alexander, Vice President, GT Nexus, an Infor company, who stood by me positively all times for the various volunteering activities that I have been involved with. My hearty congratulations to the fellow recipients Ana Luca Diegues, Zamira Jaupaj, Jocylyn Sy & Ayeni Oluwakemi and here is the official blog from Amazon - Meet the Women Building AWS Technical Communities Around the World. Whatever happened in Vegas, need not stay in Vegas! So, let me jot down some of the key events that that inspired me at re:Invent 2018. Reached a day early to Vegas on 23rd Nov 2018 evening to settle down a bit with over 12 hours of timezone shift. Started the Saturday morning to test the waters and the walking / commute involved across venues & to plan for the sessions, walked from New York New York & Casino to MGM Grand, then to Aria, The Park MGM and Vdara. Well, enough for the day and I am sure AWS would have planned much better for us considering all logistics, hence set out for an Express tour to Red Rock Canyon which was an hour drive from the Vegas City. To our surprise, the park was closed & only the BLM who is responsible for the maintenance and administration of the read rock conservation area would know the reason :) . It was sad that our tour group couldn’t account to the count of 2 million people who have visited the conservation area so far. Well, more than what we saw, learnt a lot about the mountains, Vegas city and bit of history from our humorous tour guide who redefined Speed Bumps as Sleeping Police. For the lone wandered in the deserted city (rather the Desert City) exploring the Strip all alone on Saturday, Ana Luca Diegues & Zamira Jaupaj joined on the Sunday morning – 24th Nov 2018 and we all set out on a leisurely walk from New York New York & Casino hotel to The Venetian for AWS re:Invent 2018 registration. That definitely turned about to be fun filled day out passing through all the Casinos on the way and clicking pictures at all attractions, stumbled upon Apple store in Caesars Palace where our friend got a Mac book with $90 discount as a re:Invent 2018 attendee. Hurray! AWS re:Invent Materials: YouTube, SlideShare, and AWS Innovate – re:Invent Recap Edition 2018. 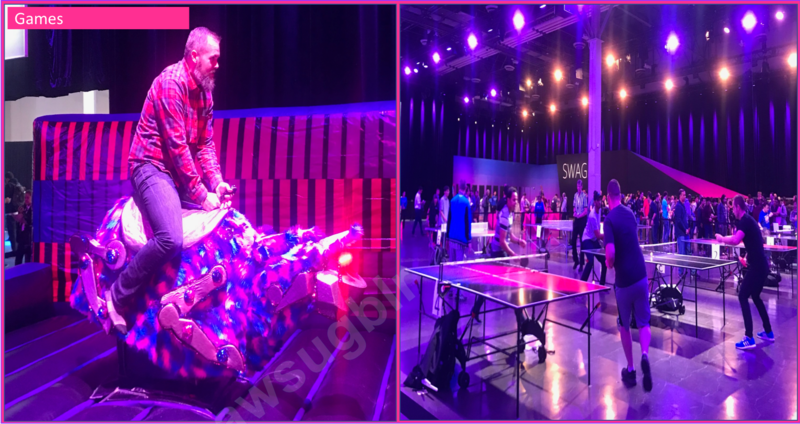 All work and no play would make jack a dull boy - Yes fun & fitness was on the floor; all day - over and above, Midnight Madness, 4k & 8K Run, re:PLAY etc. 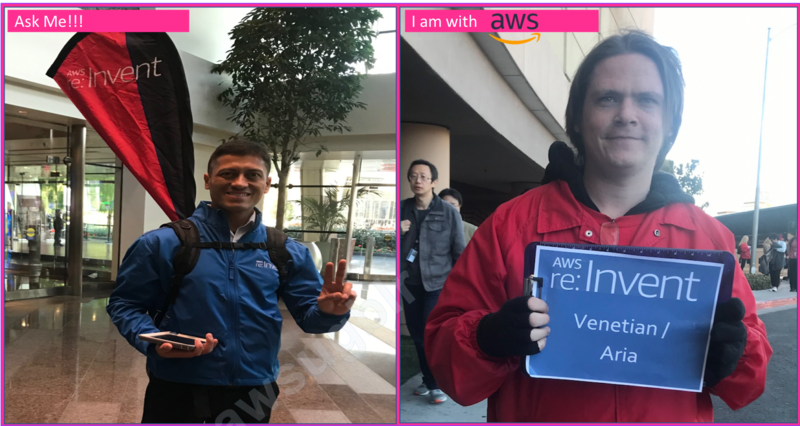 I would rather say that this crew was with us – the attendees – than with AWS all through the re:Invent : 24th Nov 2018 to 30th Nov 2018, right from early morning to the mid-night either on roads in the open air with a broad smile on their face ignoring the chill wind or all the way up in the venue corridor to the conference halls. How do I get to the Shuttle to Venetian? All the way down, take a right, out the door, walk straight to get onto the Shuttle to Venetian. Curious to know how many staffs were deputed on the ground for such a seamless co-ordination. AWS re:Invent 2018 is drawing close to an end setting base for the Celebrations to Begin! Yes, we get to witness Vegas City gearing up for Christmas. For the first timer in Vegas & Nature lover, trip to Vegas is incomplete without visiting Grand Canyon & SkyWalk, hence covered it up as well.